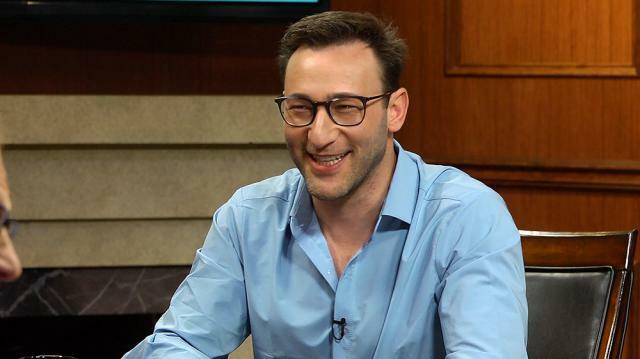 Expert Simon Sinek says all good leaders have these three characteristics in common, and analyzes the leadership capabilities of notables like Oprah Winfrey and President Trump. Larry King: What do good leaders have in common? Simon Sinek: They have the courage to do the right thing. They’re people of high character and high integrity. But for me the big one is courage. It’s very hard to be a leader, it’s hard to speak truth to power very often, you might be the one that gets in trouble or loses your job. It’s hard to do the right thing, it’s much easier to do the expedient thing, and it’s also a huge undertaking to be a leader every moment of every day, it’s kind of like being a parent. Larry King: You think President Trump has leadership skills? Obviously he was successful in one area. Simon Sinek: He has the ability to rally people for sure. And I think it’s an open question, his ability to inspire a nation, versus just rallying parts of us, but to inspire a nation and bring us together, and empower us to take responsibility and take care of each other. Larry King: Leadership styles. I’ll mention some people; I’ve interviewed these people. Steve Jobs. Simon Sinek: Again, has a vision, understands what it means to take a vision and carry it into the future, and is people-focused, which I love. Simon Sinek: I think we all love Oprah. Larry King: Why, why do we all love Oprah? Simon Sinek: We all love Oprah because Oprah, again in good leadership fashion, is inclusive and gives us something to belong to. She sets clear vision and optimism, and she encourages us to take care of ourselves and each other. It’s not about following her, but rather how she can clear a path that we can take care of ourselves.